Most homeowners know that their furnace is designed to run quietly in the background, keeping their home warm and comfortable without excessive noise. 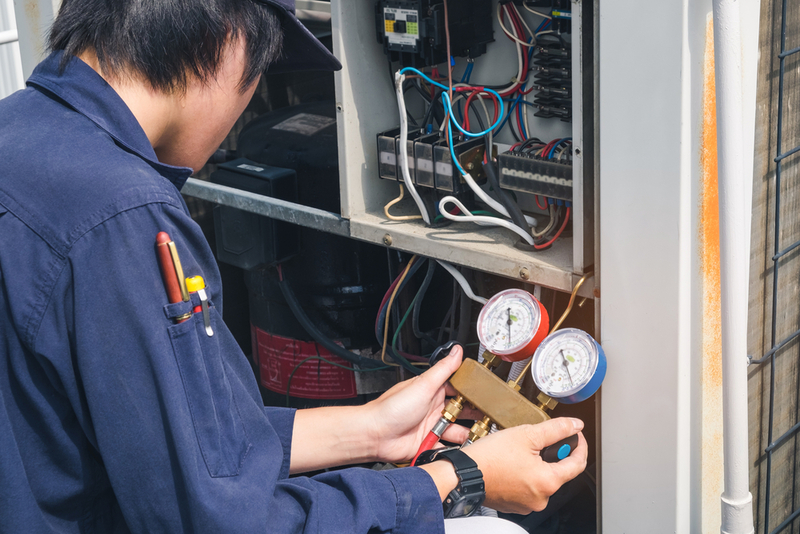 What they may not realize is that as the unit ages, it will start to make strange noises that indicate it’s time to invest in furnace repair from a local HVAC service. In some cases, the noises might even signal that it’s time for a full replacement. Knowing some of the signs that the need for furnace repair is looming will help you save time, money, and effort. Why Is Your Heater Making Noises? While it’s normal for a furnace to click or make a whooshing sound when you turn it on, a loud boom is a more serious sign that should warrant a visit from heating services immediately. In most cases, a boom that can be heard throughout the house is caused by a clogged burner or an imbalanced fuel-to-air ration. This allows gas to build up before the furnace ignites, putting you at risk of small explosions and major damage to your home. Call a professional furnace repair technician to inspect for gas flow issues or burners that need to be replaced. When your furnace comes to the end of a heating cycle, you may hear a long rumble that seems to shake the whole house. This rumbling usually means that there is gas or oil that is still burning inside the combustion chamber after the burners have turned off. This issue indicates worn-out burners or pilot light problems, each of which causes the risk of leaking carbon monoxide into your home, which is extremely toxic to your health. If you hear even a faint, extended rumbling sound, call a technician immediately. Homeowners should consider loud banging noises at the start of any heating cycle a red flag. In most cases, this indicates a cracked heat exchanger, creating a serious carbon monoxide risk. If you hear this sound, it’s crucial that you turn the furnace off and leave it powered down until an expert can look at it. It’s worth noting that a rattling noise that occurs while the unit is running is not as dangerous. This might mean that there are loose connections in the ductwork that can be tightened easily. Looking for an HVAC service to help troubleshoot your furnace in Coweta, OK? The team at Bowman Heating & Air has served residents since 1976, providing easy, convenient access to comprehensive, affordable maintenance and repair. Using the latest in heating and cooling innovations, their friendly team of technicians will make every effort to correctly diagnose the problem and apply the most stable solution. Visit them online to schedule a furnace repair appointment or call at (918) 486-2861.